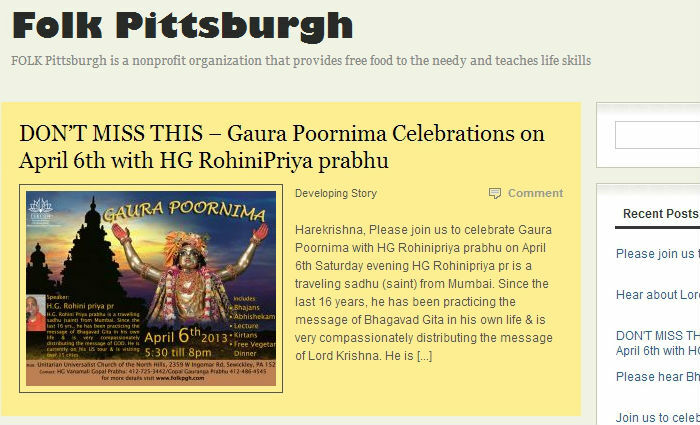 Folk Pittsburgh is a nonprofit charity established to provide free food to the needy youth and to systematically teach life skills. FOLK Pittsburgh originally had a simple Blogspot blog but wanted something more. Their growing congregation needed an online community where they could communicate and catch up on news and missed events or podcasts. With a modest budget we were able to migrate all of their existing blog posts, create an easy way for them to upload podcasts of their meetings and provide an online calendar with upcoming events.